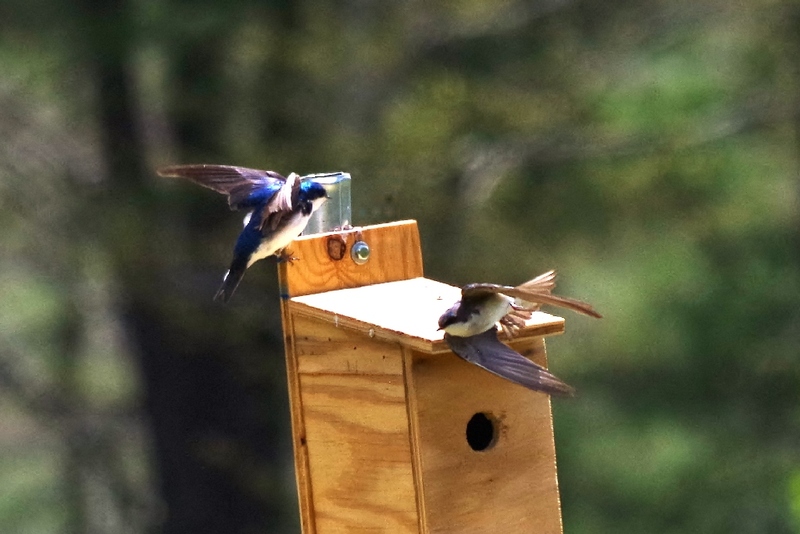 Need help in identifying birds,are these tree swallows or are they purple martins? Also help in identifying the yellow bird. Some nice shots you have there. Just a FYI, I use this guide to ID the birds I don't know. And we have a member here that's good about IDing birds too. 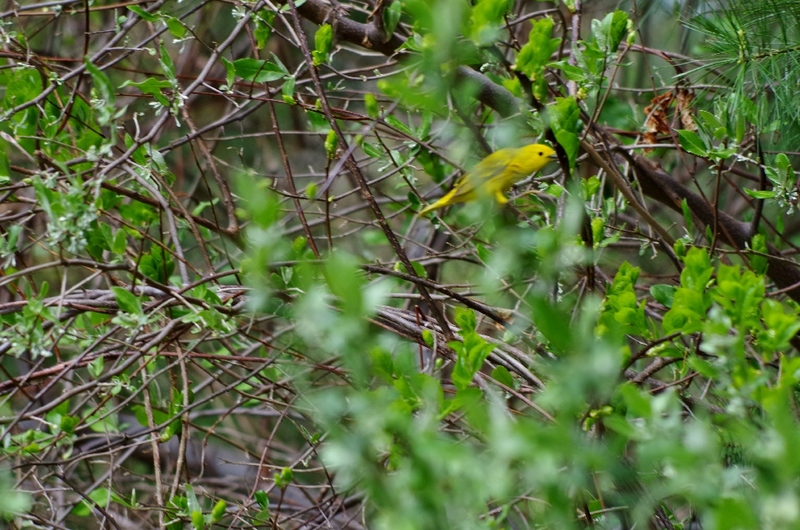 Tree Swallow (Tachycineta bicolor) and Yellow Warbler (Setophaga petechia). Looks like swallows (tree) and a yellow warbler. pete-tarmigan and jpzk are right. And Pete was the one member I was talking about. Thanks for help everyone, I was leaning toward the tree swallow based on the field guide I have. 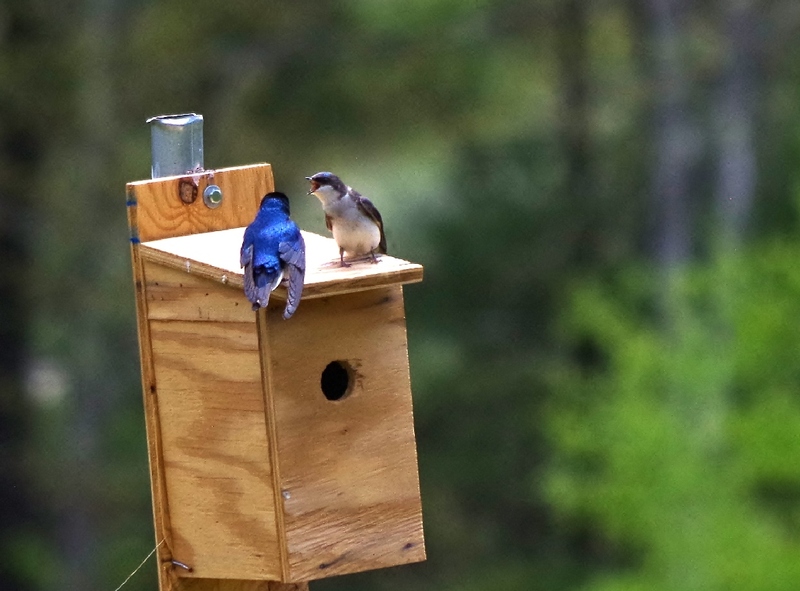 I was uncertain because I think the bird houses were placed there to attrack purple martins. 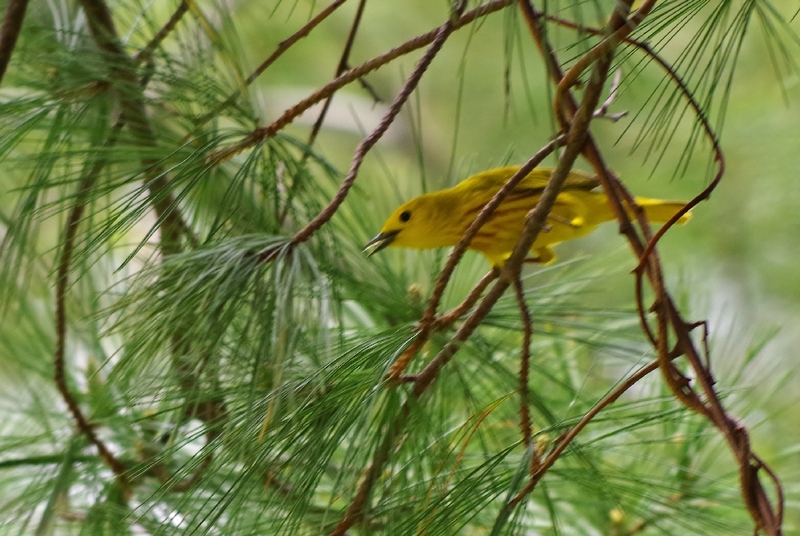 The yellow warbler is very colorful, dont think I have ever seen one before. 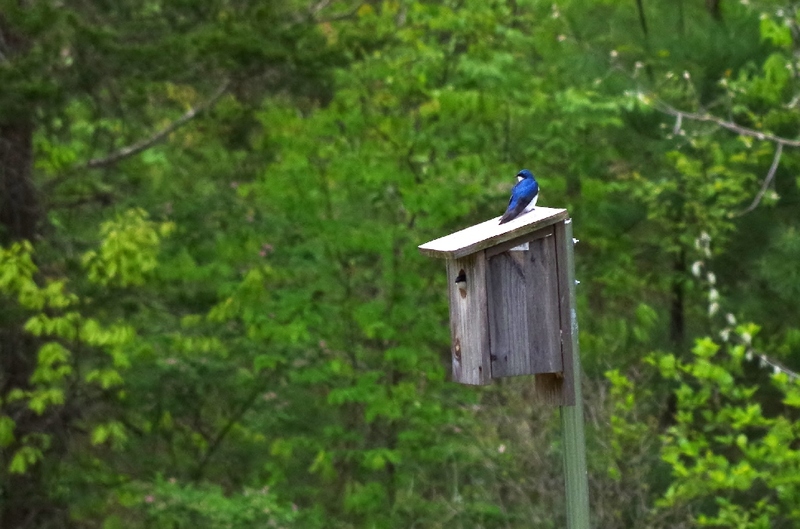 Those are Bluebird boxes. Purple Martin boxes are very different. 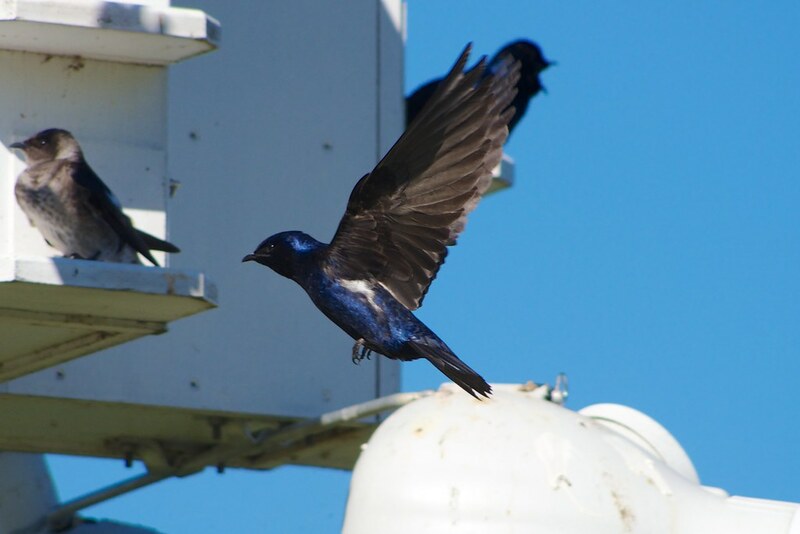 Purple Martins are colony nesters. The boxes look like apartment buildings. They may have gourd shaped boxes as well. Native Americans would hang gourds to attract them.